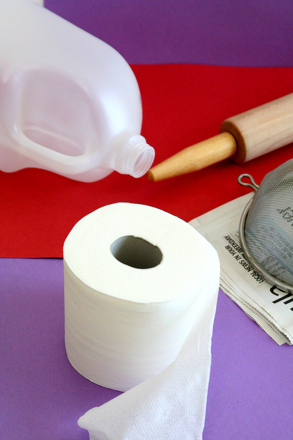 Here's a salt dough recipe that can be used to make ghostly character sticks for fun Halloween decor. They're easy to create, fun to decorate, and, for once, provide a Halloween activity that doesn't involve sugar! Halloween shaped cookie cutter or cardboard template of ghosts, witches and pumpkins. Mix the flour and salt in a bowl. 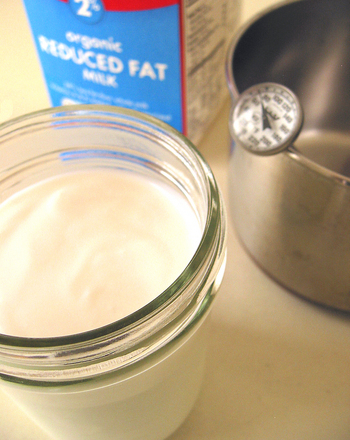 Add water little by little until the dough is firm. Knead for about 10 minutes and then let it sit for 40 minutes at room temperature. Roll out the dough to 1/4 inch thick. 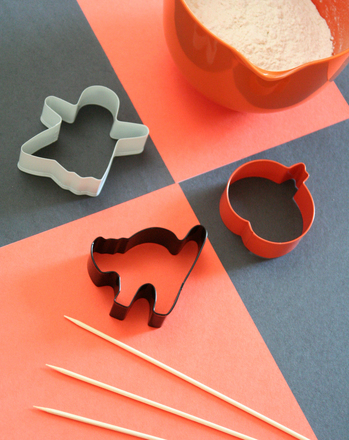 Using your cookie cutters or the cardboard template to cut out your Halloween shapes. 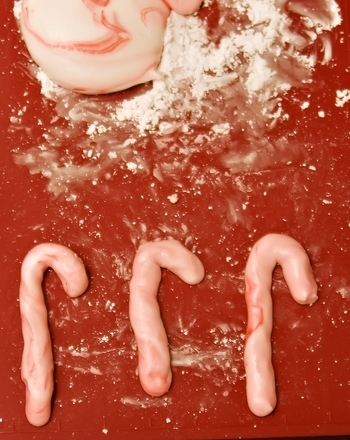 Use the stick to decorate with holes, and be sure to make a hole at the base for the stick. Note: Don't bake the stick! Bake the shapes at 250 degrees F for about six hours until hard. Allow the shapes to cool. Then, dip the tip of the kebab stick in glue and insert into the hole. Paint as desired. Paint and decorate your pot, and, after filling with sand, stick your shape into the sand. 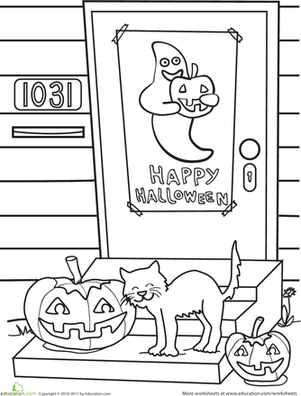 Find a place to display in your home in celebration of Halloween. 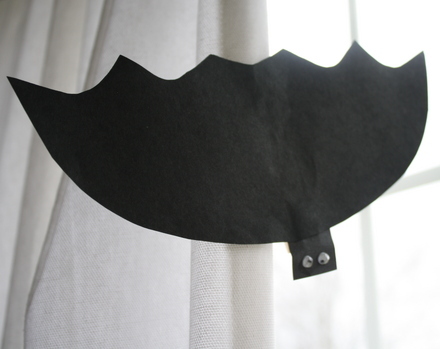 Get in the Halloween spirit with simple and inexpensive Halloween bat decorations. Christmas door decorations brighten any home with holiday cheer. Put Christmas door decorations on your door knobs to bring jolly Christmas spirit to your home. Pine cone decorations are fun and festive for the Christmas season. 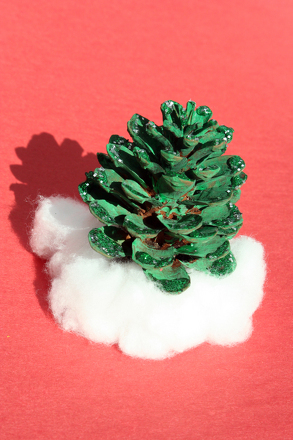 Make pine cone decorations with your child to celebrate the beauty of winter.